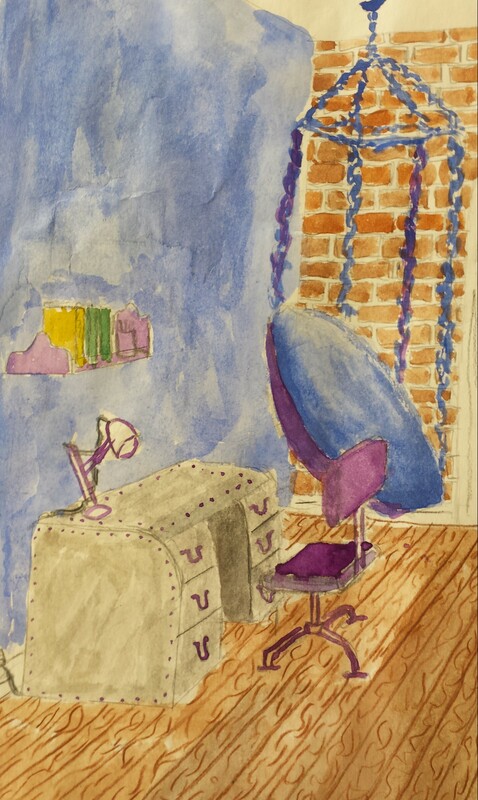 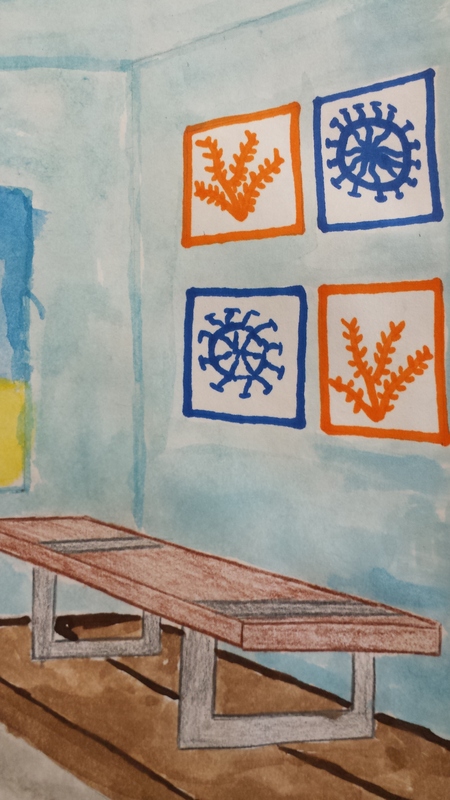 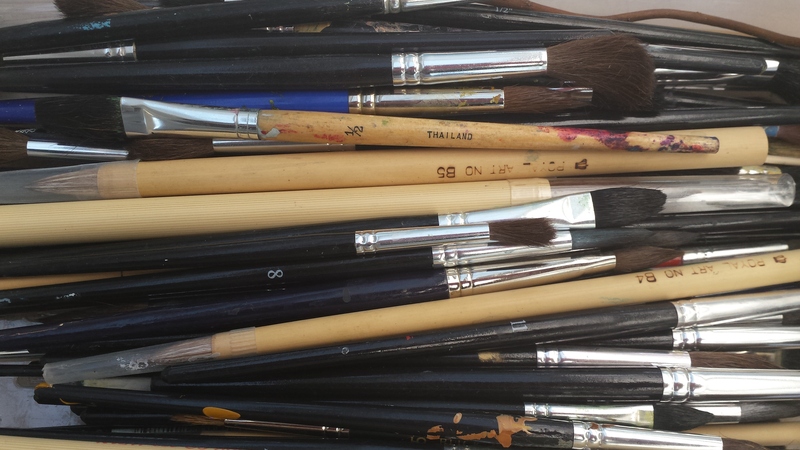 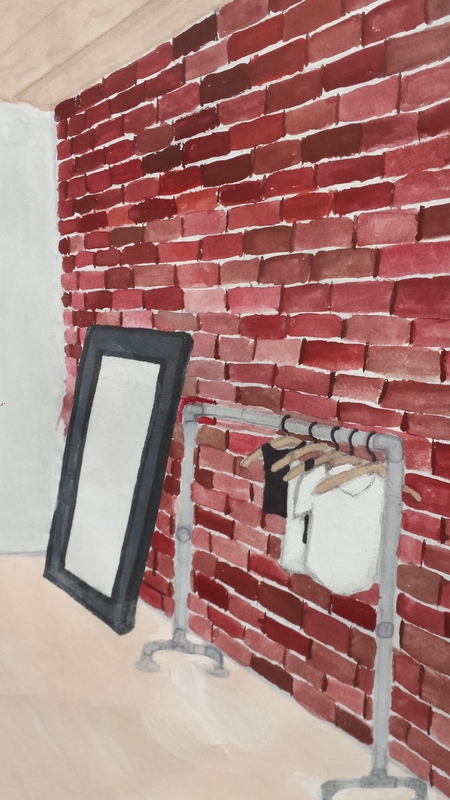 December 2014 – Emma Teaches Art! 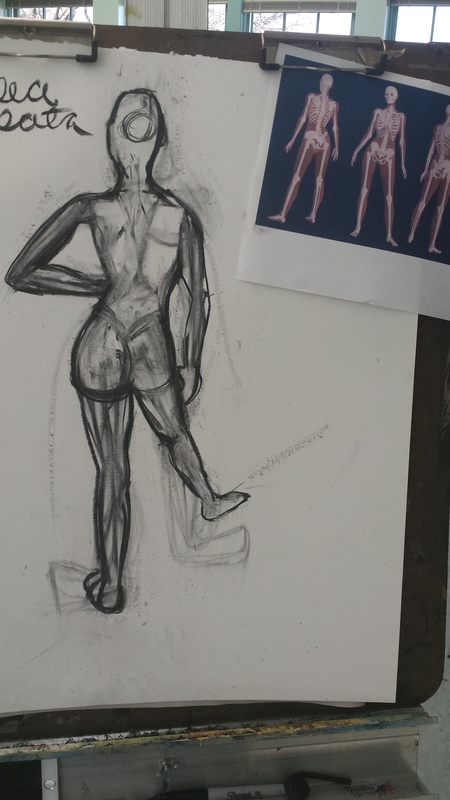 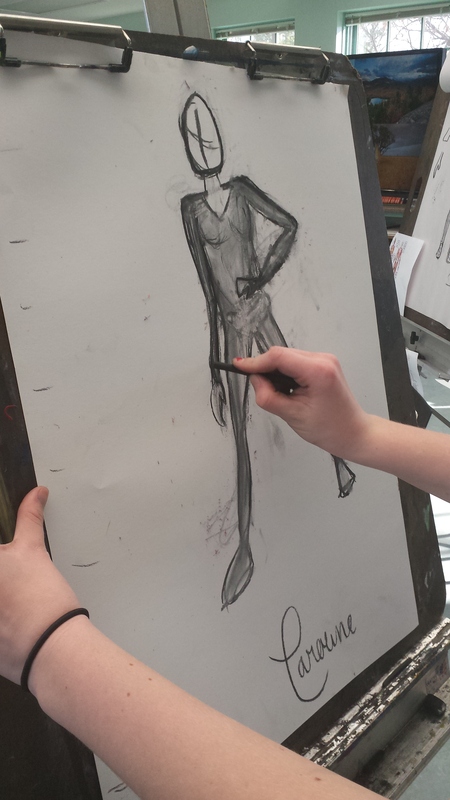 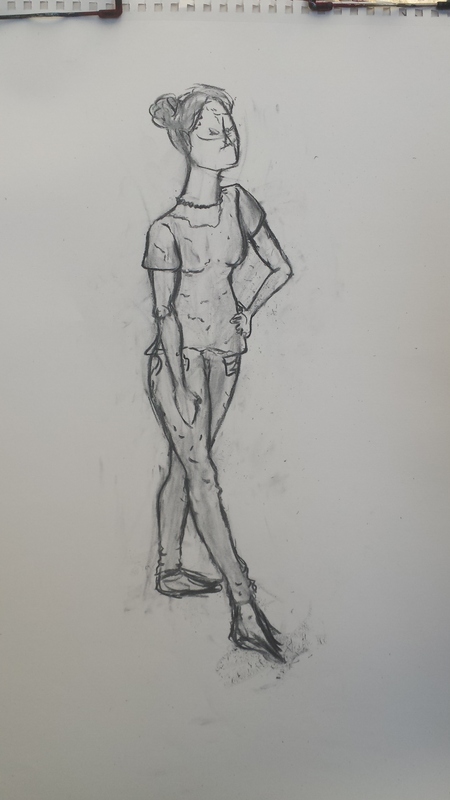 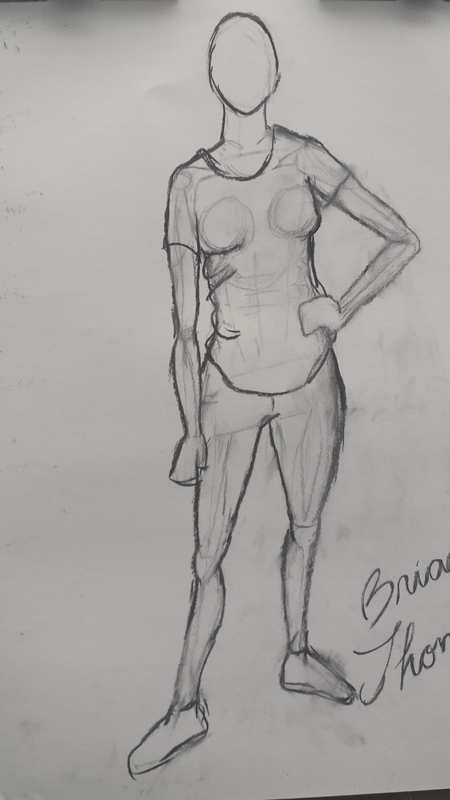 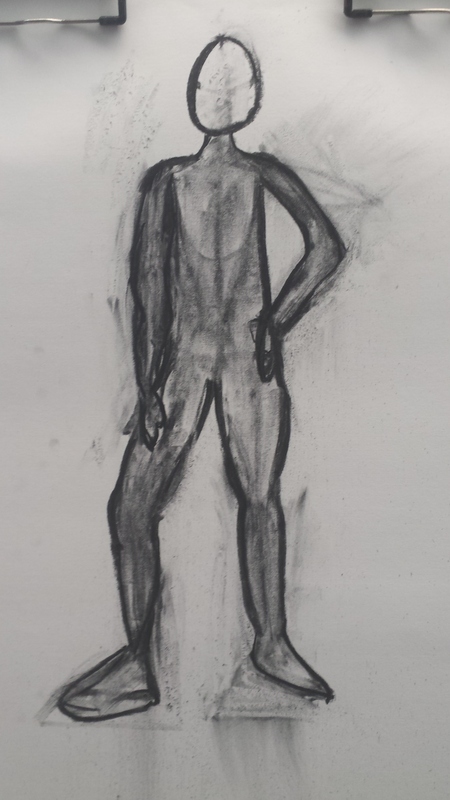 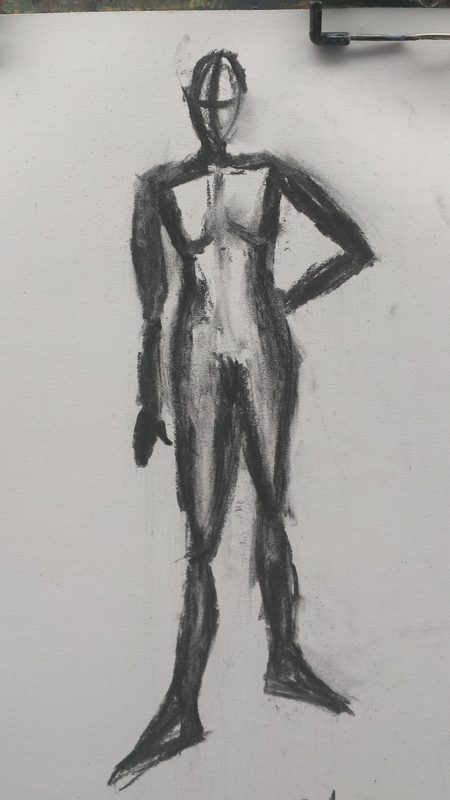 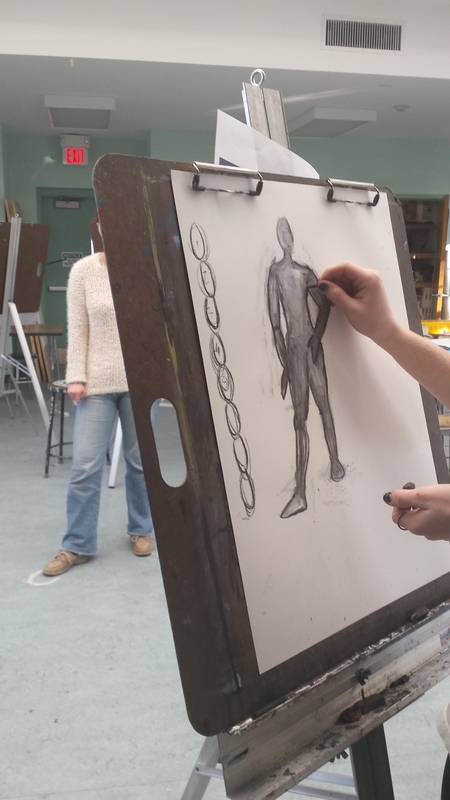 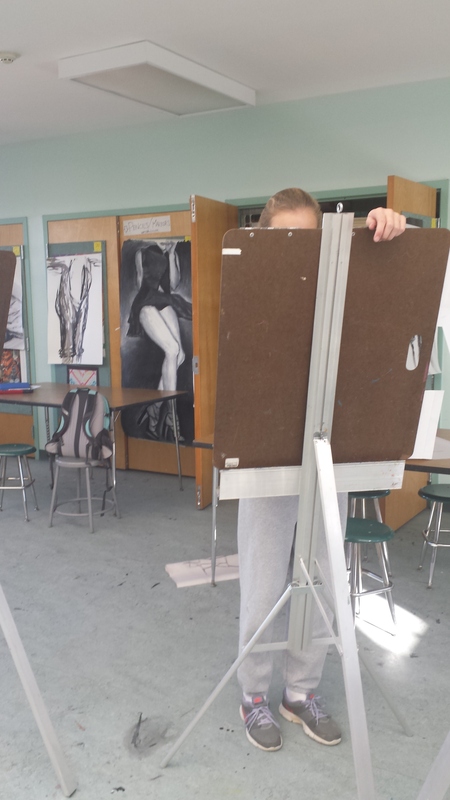 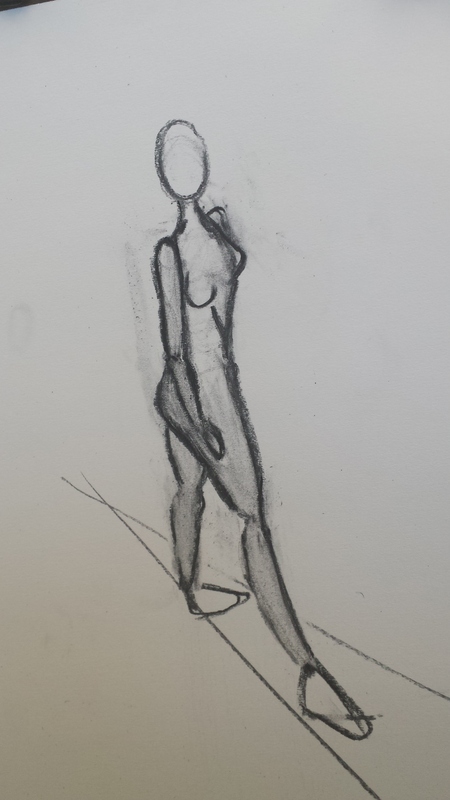 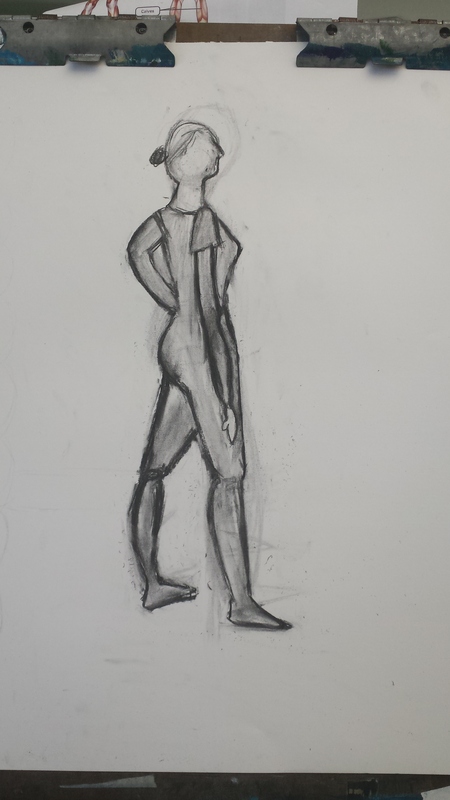 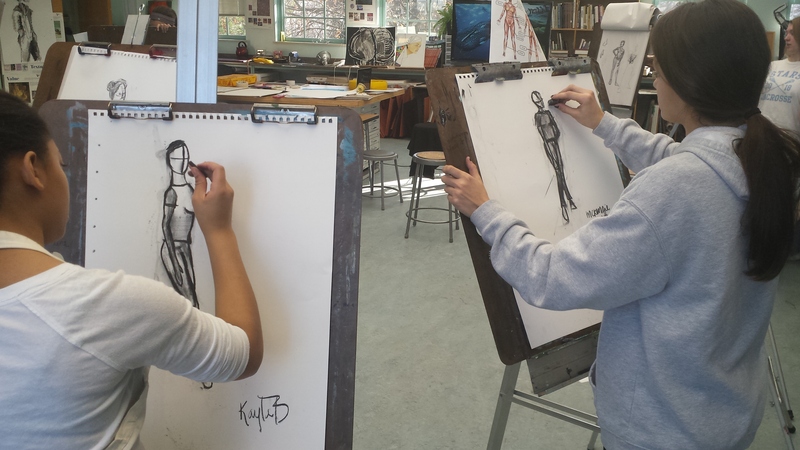 Let the figure drawings begin! 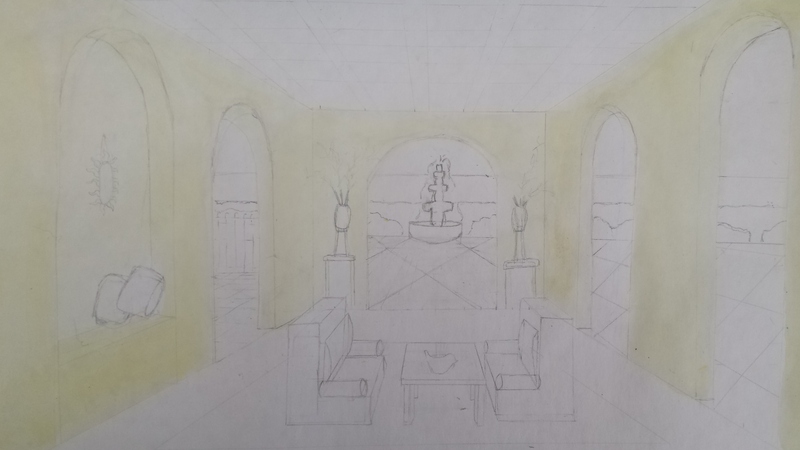 This year I decided to amp up the one point perspective room drawing and add another level of design. 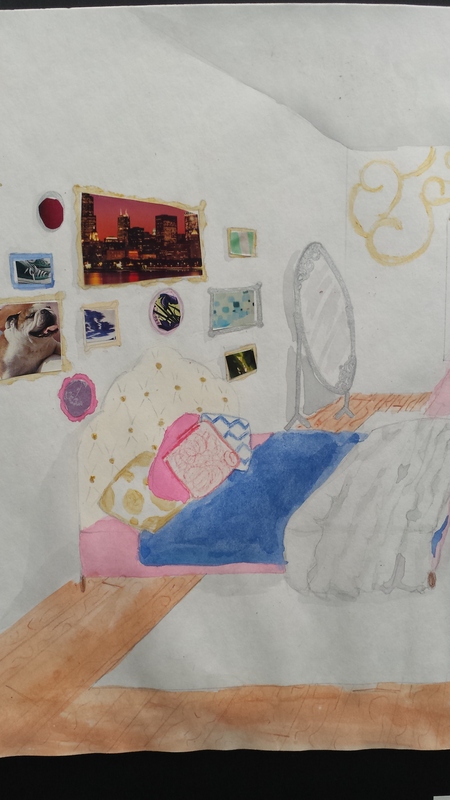 While reflecting on last year’s “dream bedrooms” I realized that there was a lot of untapped potential in the assignment. 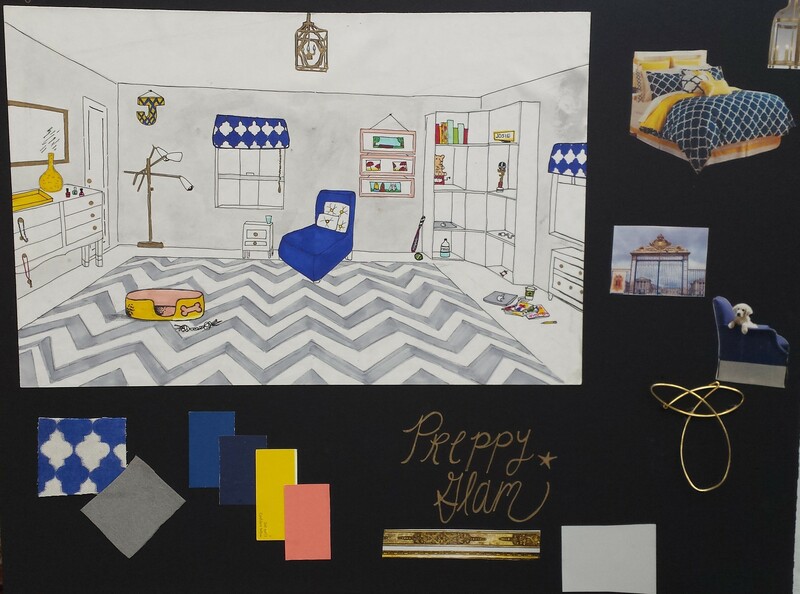 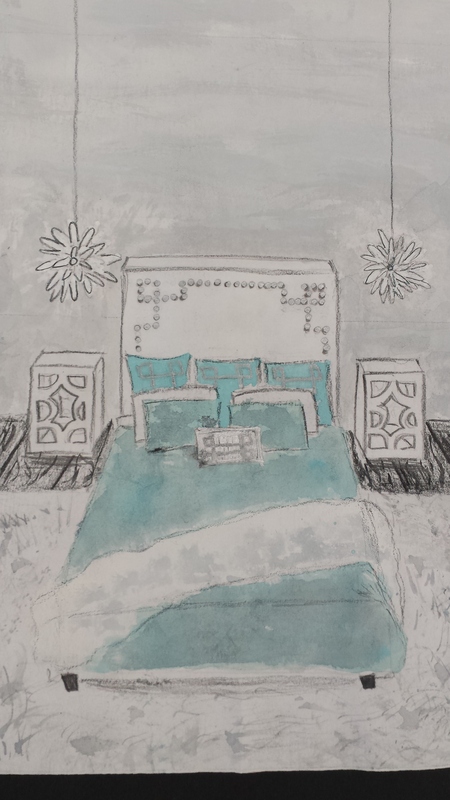 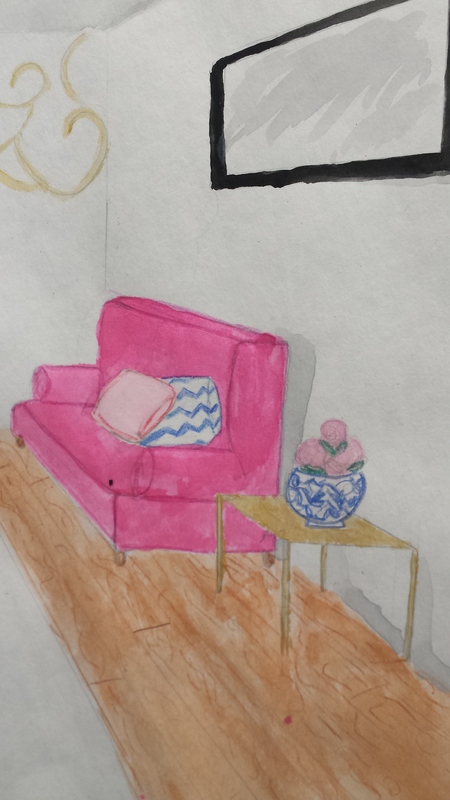 I hadn’t thought about what a real interior designer might bring to a pitch in order to show the client and I was excited about adding more design elements to this project. 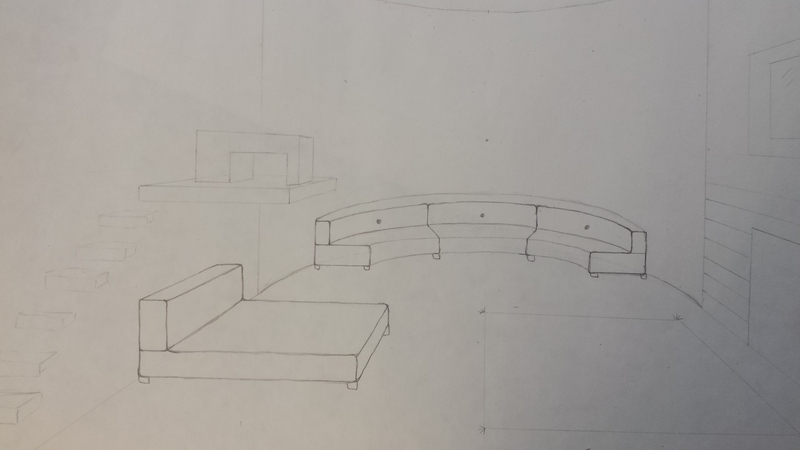 As a result I divided the project into two pieces. 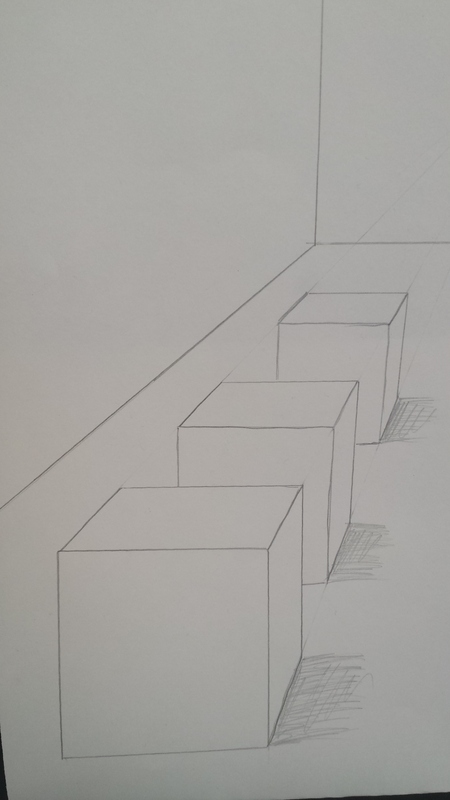 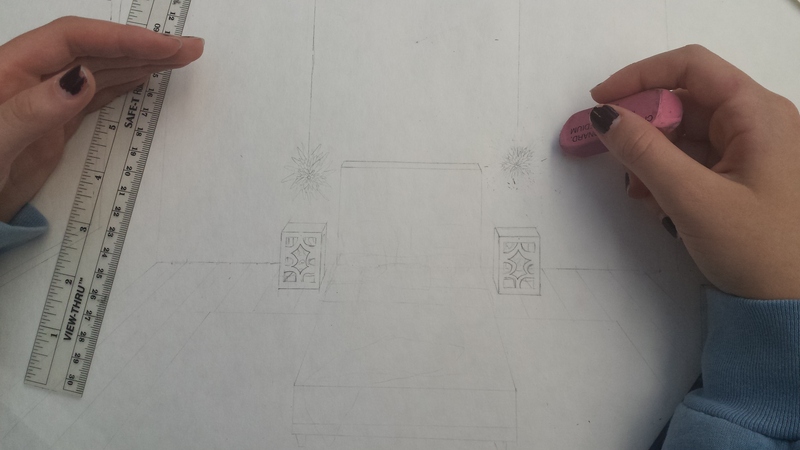 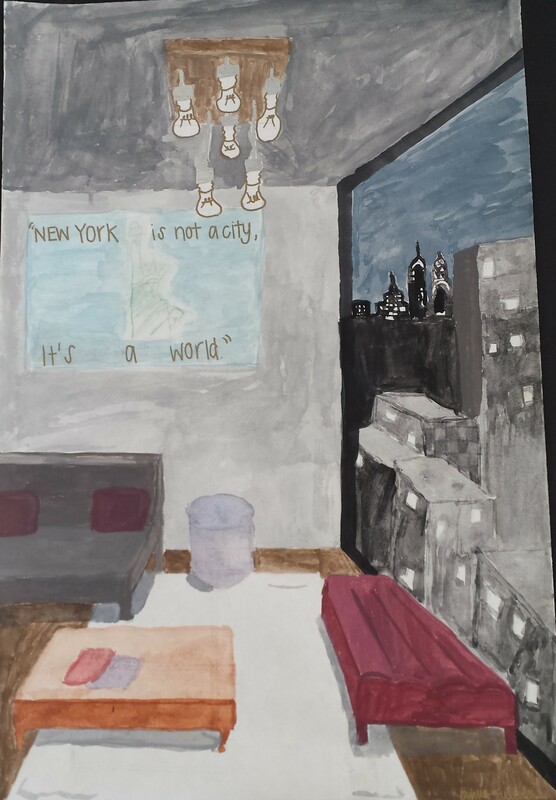 The first piece was a focus on one point perspective as a drawing technique. 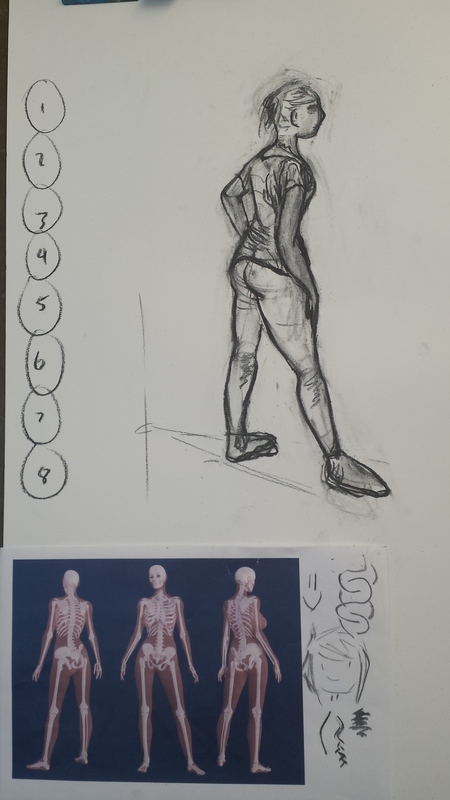 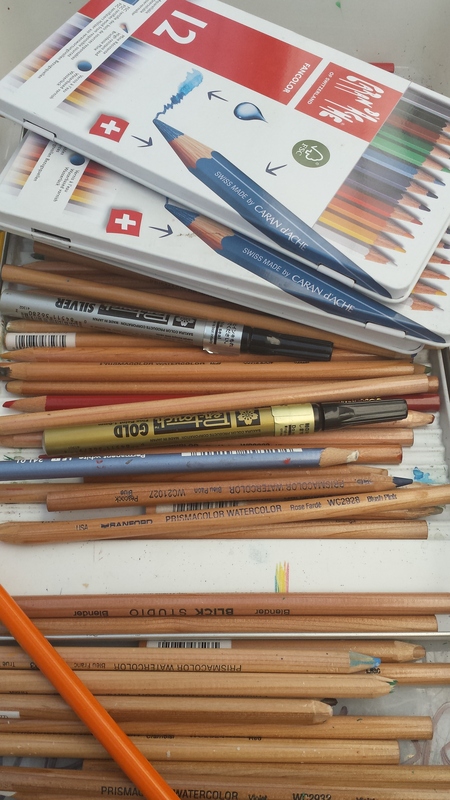 As most art teachers know this can be a tedious and painfully slow drawing technique for most young high schoolers. 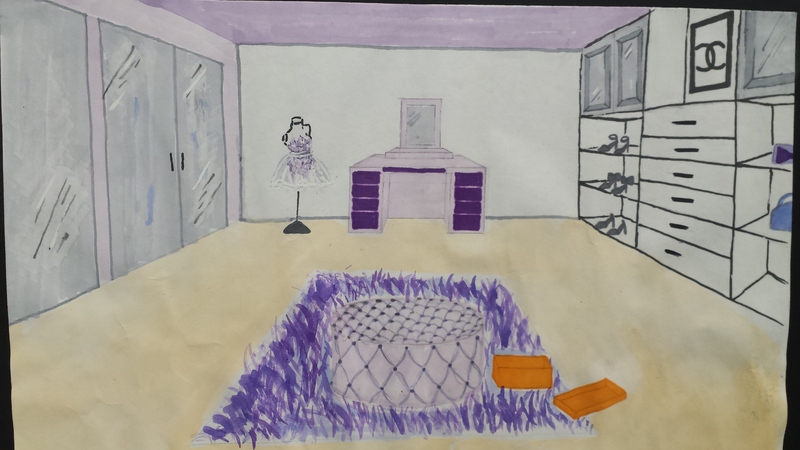 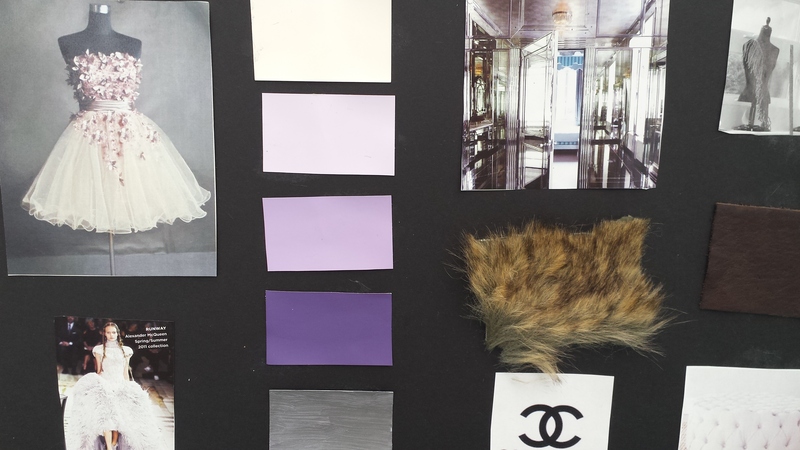 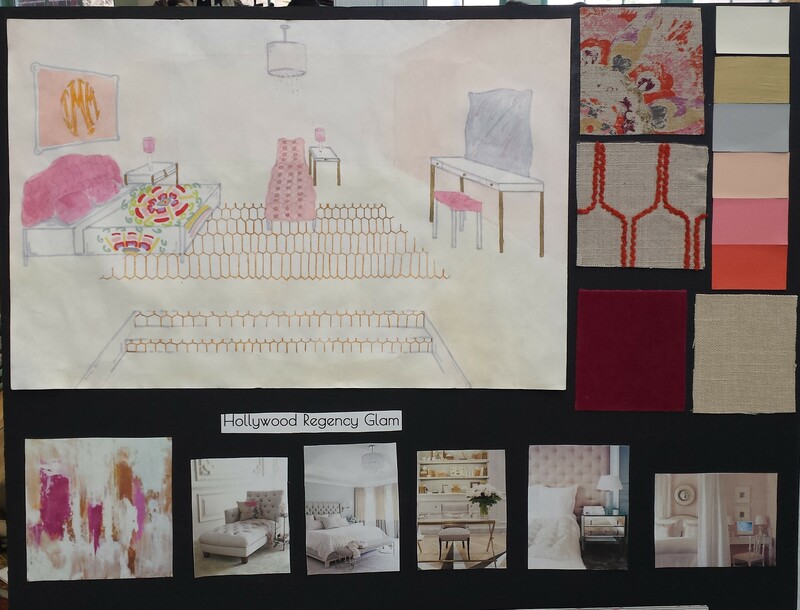 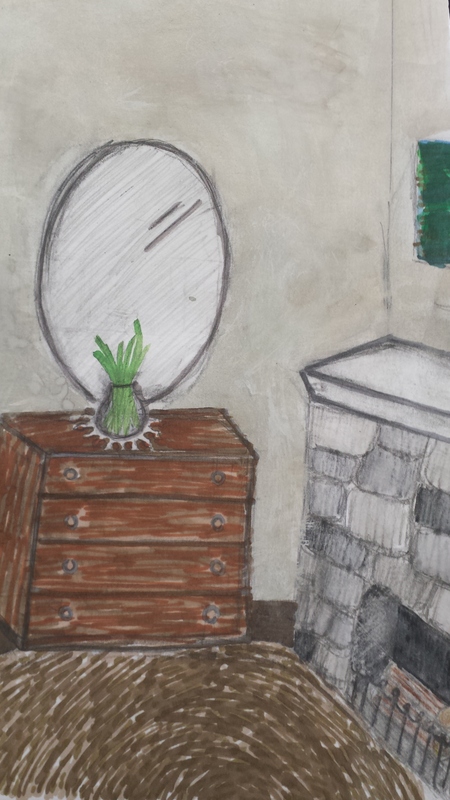 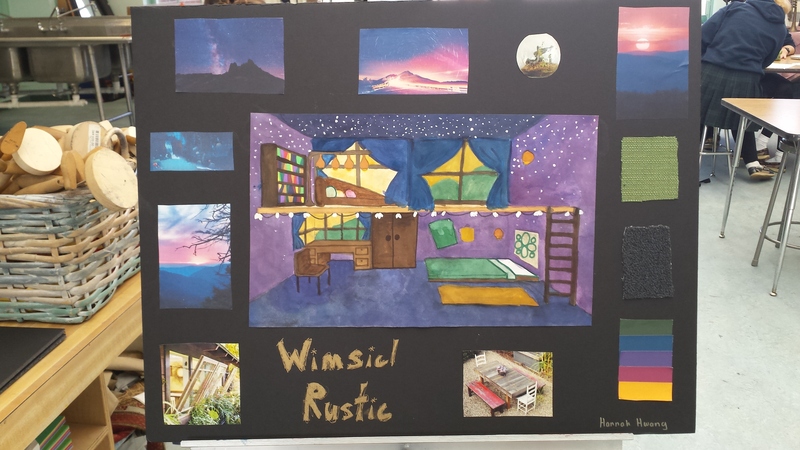 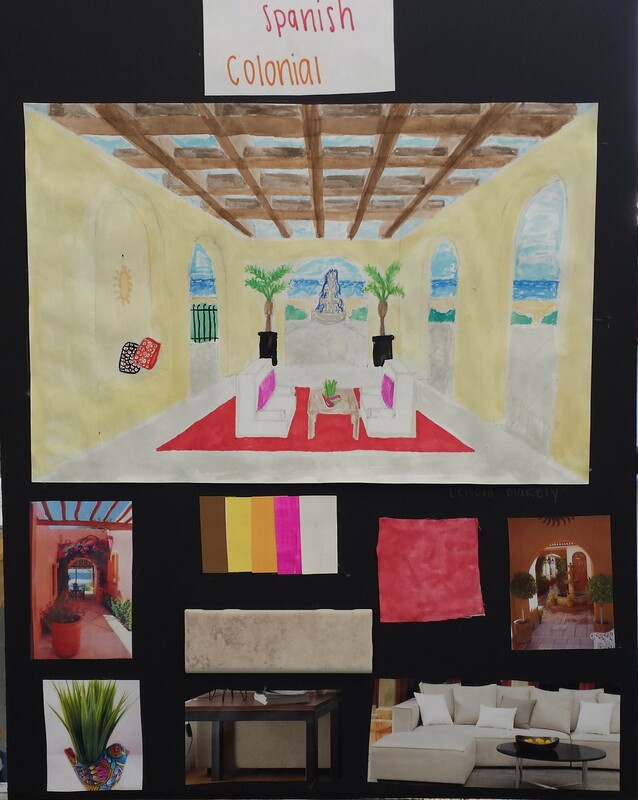 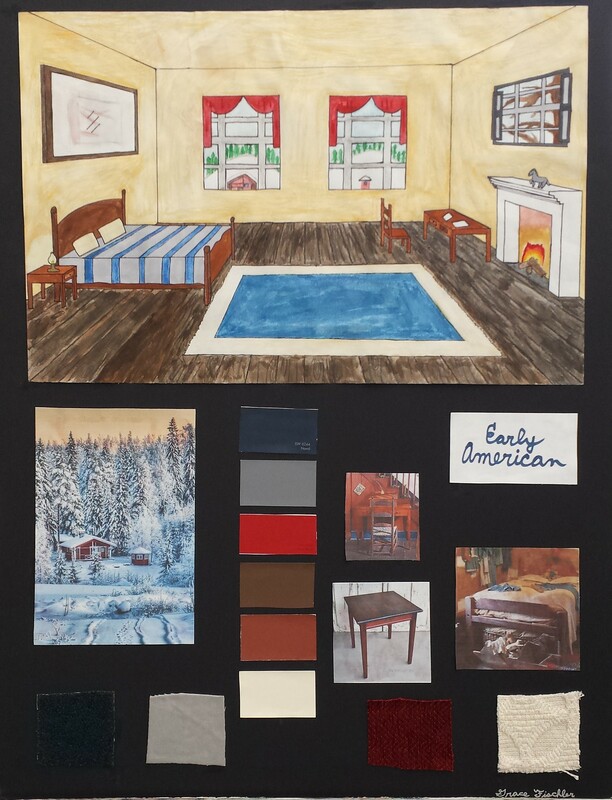 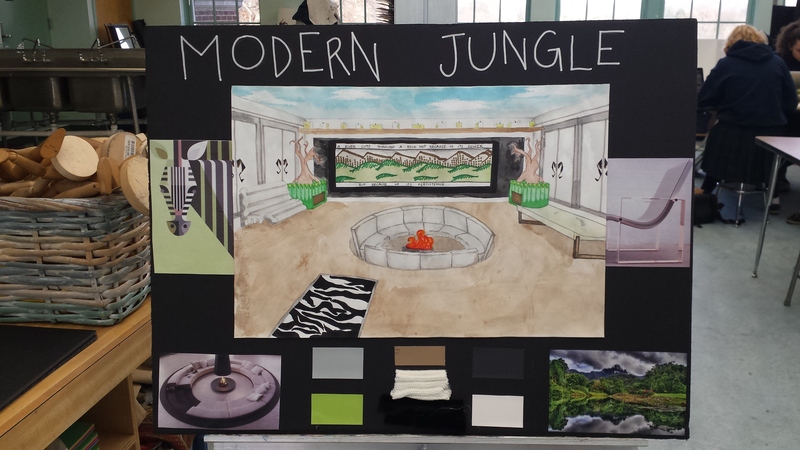 So to dress it up we had our second piece which was interior design. 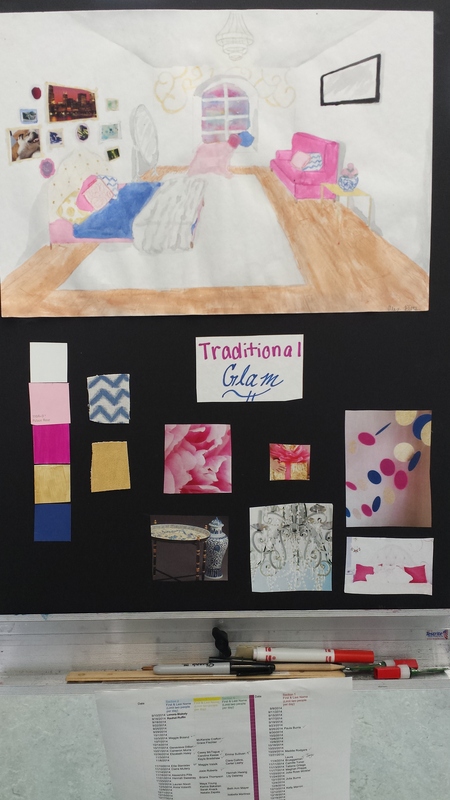 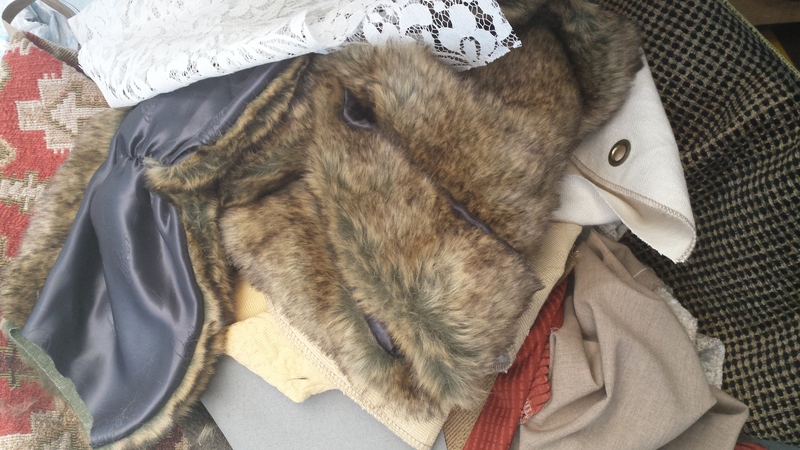 This involved choosing a theme, fabric samples, a color scheme, and a Pinterest board. 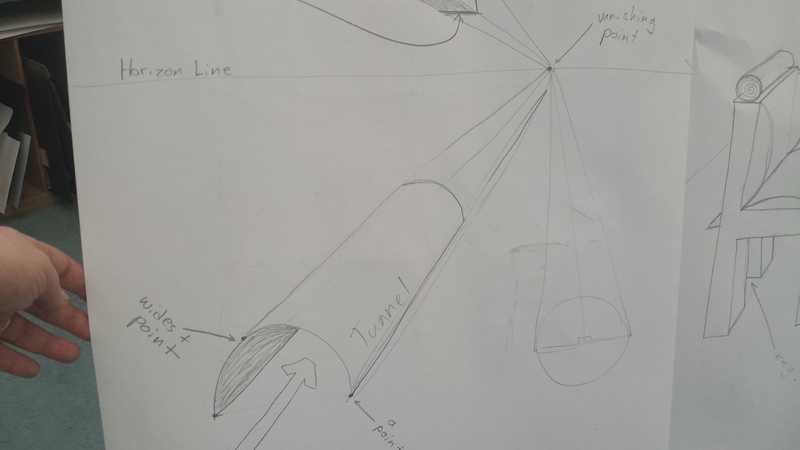 As part of our STEAM initiative to co-ordinate the curriculum between Physics and Art Foundations I lined up this project with the students study of projectiles and vectors. 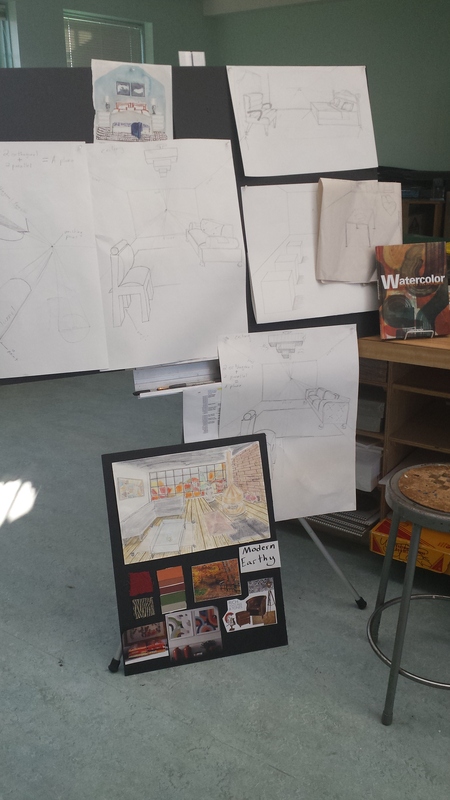 While the studies both involved objects relative placement in space, it was the technical drawing aspects that lined up in these two projects more than anything else. 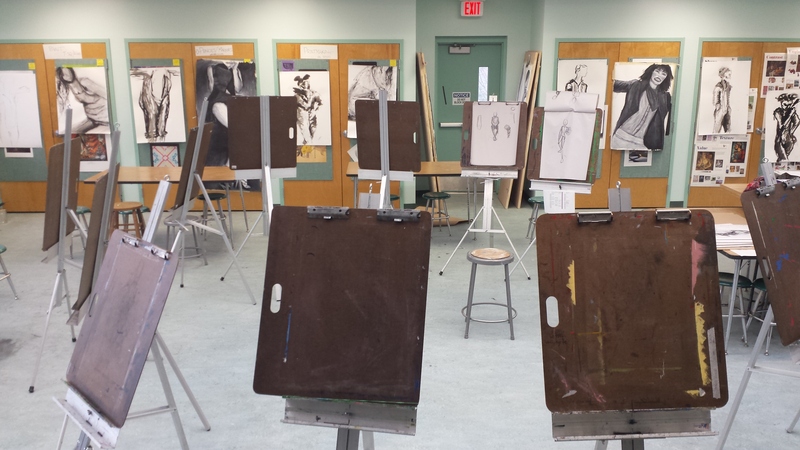 For a week, at the beginning of November I split our classes up into two parts. 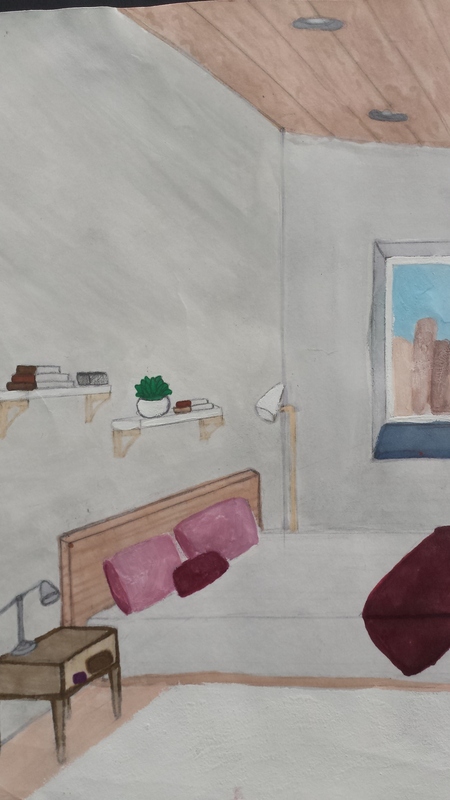 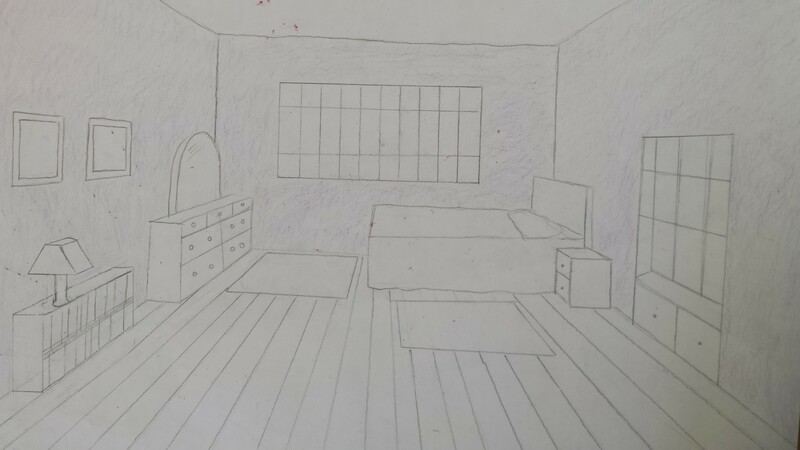 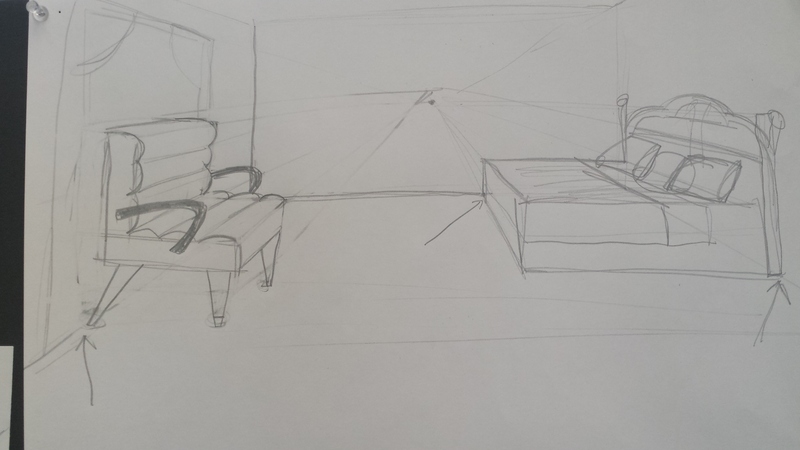 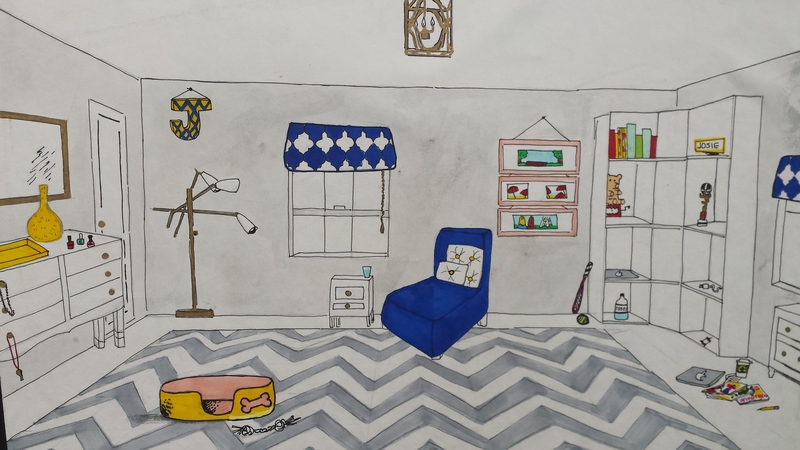 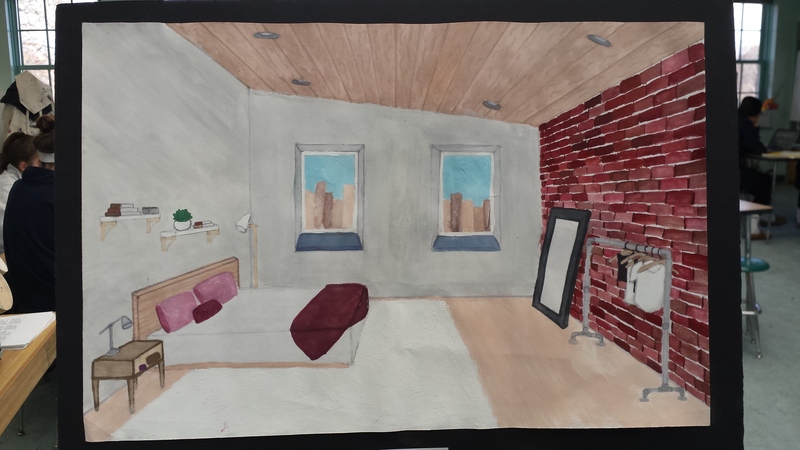 I alternated between the technical drawing technique of one point perspective, and interior design. 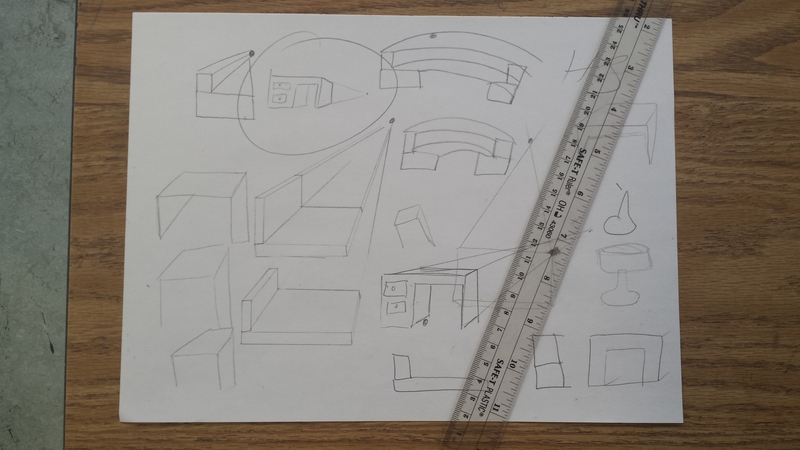 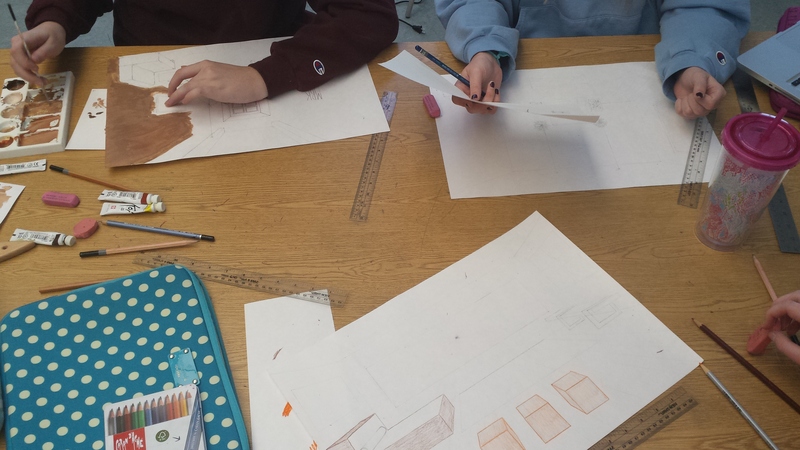 For example we would begin class with a step-by-step lesson on drawing different shaped objects using one point perspective beginning with opaque and transparent boxes and working our way through more complicated objects. 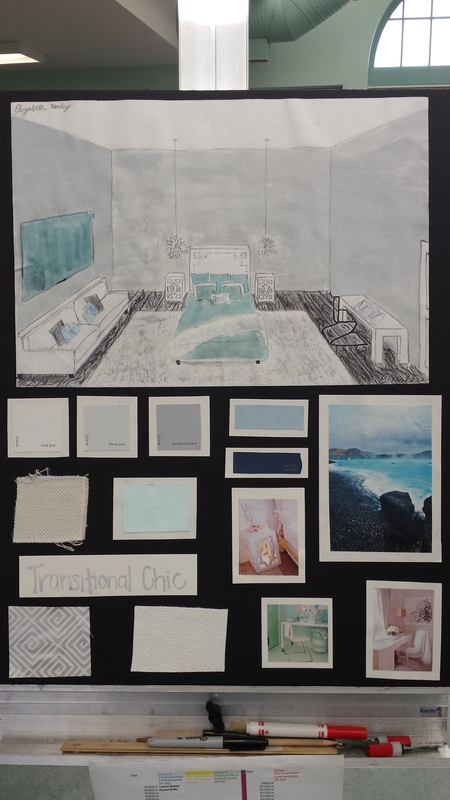 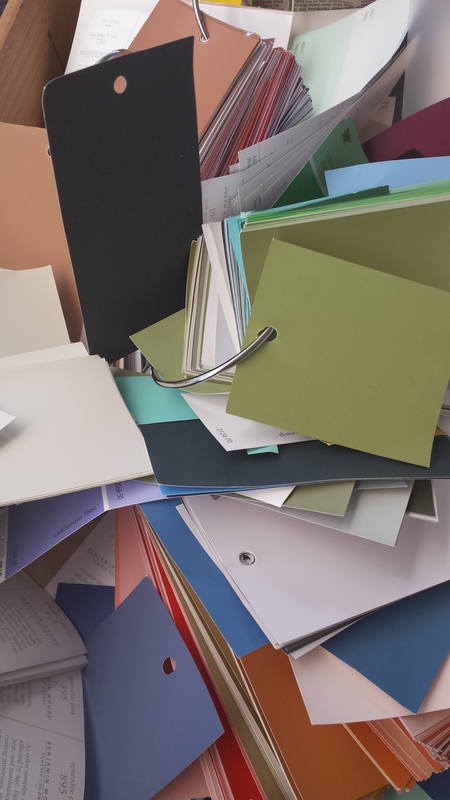 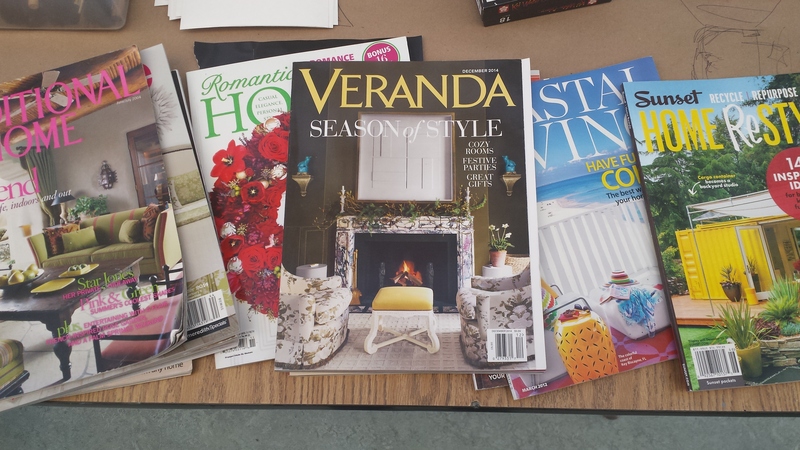 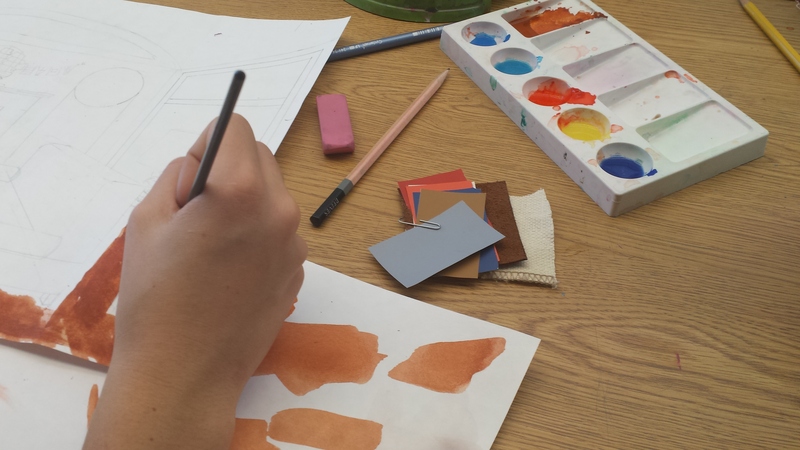 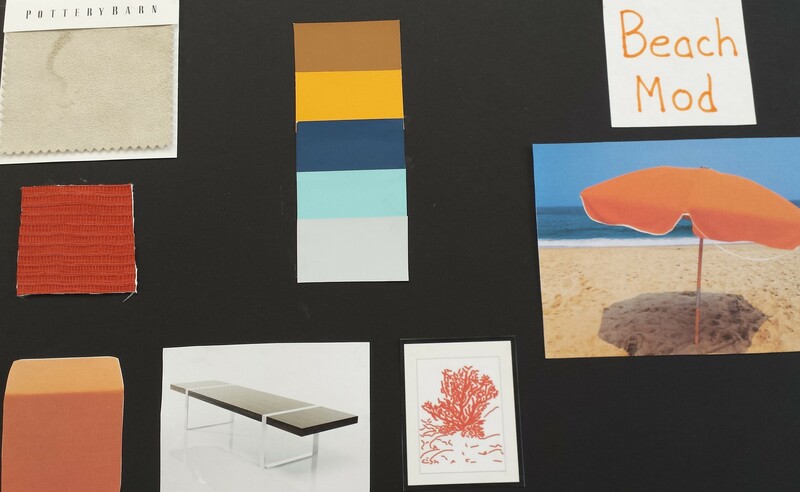 We would then transition to designing inspirational boards on Pinterest, or picking out a color scheme using paint chips I had collected from various trips to Home Depot as well as ones brought in by enthusiastic students. 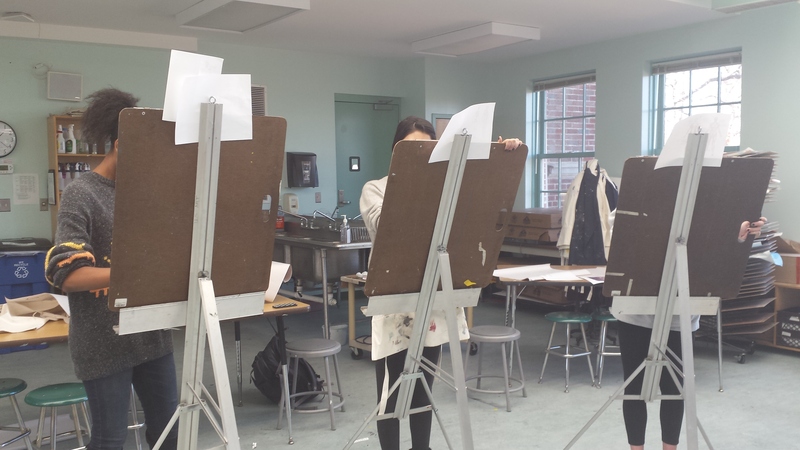 We even made sure to look at examples of current practicing artists, and their work. 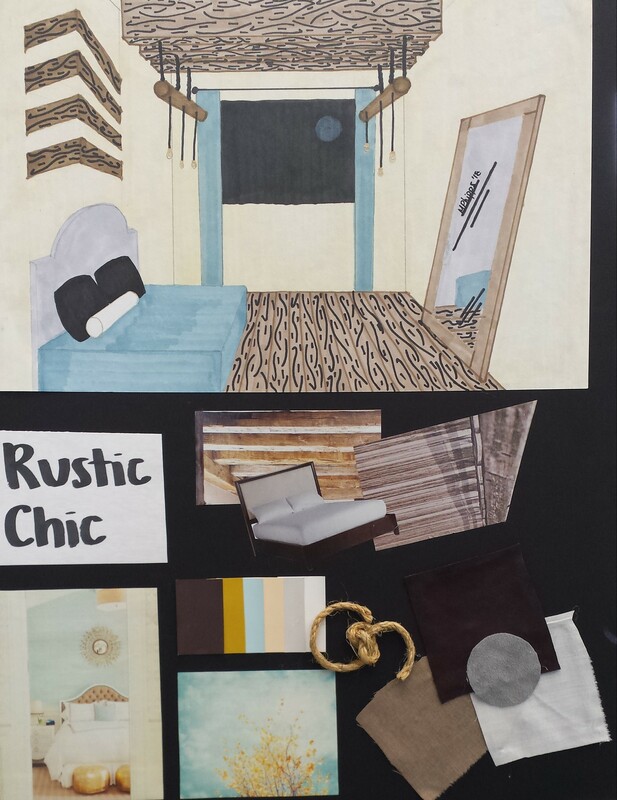 One example was 6th Street Design School, and I highly recommend taking a look at this designer, and blogger. 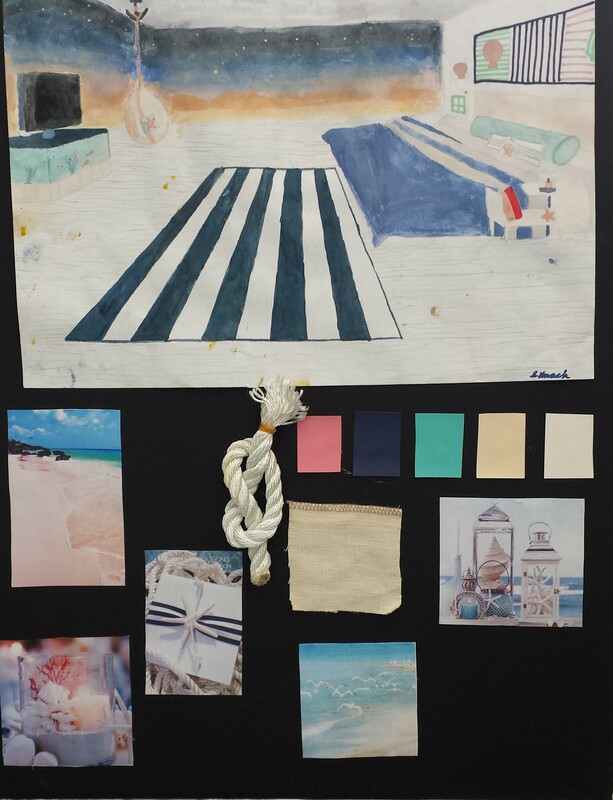 Below you can see some of the stages of the projects development, as well as some finished products.